Steve Jobs, the CEO of Apple Inc. and Pixar Animation Studios predicted in 1996 that global eCommerce “is going to be HUGE”…and he was right. Reeling in customers from the other side of the world can be challenging but it can also be the key towards achieving an eCommerce site that EXPLODES with success. Think about sites such as Amazon, EBay and even MAC Cosmetics. These eCommerce sites have successfully broken into the global market and have made millions as a result. The competitive world of online sales makes up 30% of the UK’s economy, so you can imagine the mass potential that could arise if you were to expand your business internationally. 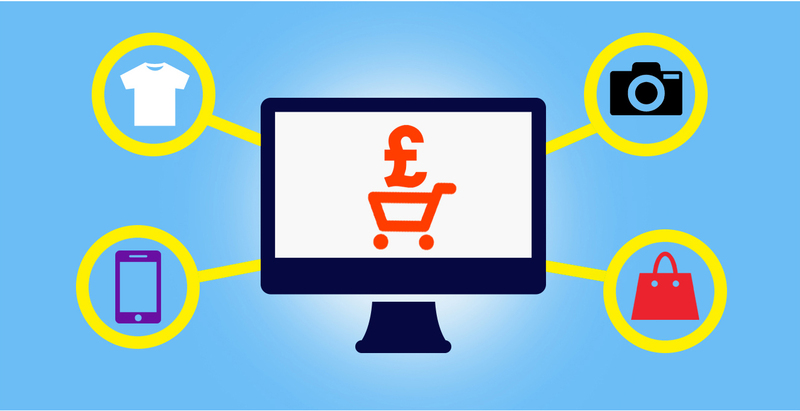 Retail eCommerce sales worldwide are expected to rise to almost £2.5 trillion by 2018. So how can your business benefit from this enormous growth in global eCommerce? A solid platform and an effective global business strategy MUST be set in motion. Your international customers need to interact and convert with your business without any hassle or inconvenience. The purchasing process has to be as simple as it is when the consumer makes a purchase from their local online retail stores. But how can your eCommerce site provide this if it is based on the other side of the world? Understanding the international market is crucial. The opportunities for success abroad are readily available, but before you dive your business into a new region, appropriate research must be conducted to access the potential demand for your services using various performance indicators. This will help you to govern the need and performance of your business within foreign regions and gauge its success. Your eCommerce site must be localised to adhere to the specific currency and language of foreign visitors. Think about a foreign buyer stumbling across your eCommerce site. What is their frame of reference as a buyer? Well, they are probably accustomed to seeing their own language on webpages. They will expect international delivery services. If you are a UK company expanding into the U.S market, seemingly small dialect and spelling changes such as colour (UK) and color (U.S) plays an important role. Ensure that your website takes into consideration these and other key differences between the UK and international markets and then apply your findings to your global business strategy – TAILOR the experience. Payment methods also vary in different parts of the world. For example, Germany favours direct debit transfer whilst Spain has seen an increase with PayPal. Cater your payment options accordingly and make sure that your eCommerce provides a range of different payment routes for international customers to choose from. The importance of currency and rounded numbers plays a keen psychological role with regards to consumers deciding to take action or turn away from a payment. For example, showing an EU visitor a product priced at €34.87 is likely to put them off making the purchase, whereas if you round off this number to €35.00 instead, you have a better chance of encouraging conversions because you have simplified the purchasing process. Succeeding in a global market has a lot to do with efficient shipping. A special offer or Free Shipping will enable your eCommerce site to remain above the surface in this competitive foreign territory. Import and export laws vary in each country so your business must comply with these before promising a sale and your return policy for international buyers must be both clear and precise. If you can’t sell with a smile, sell with a click.